Cake Balls for Memorial Day! Looking for the perfect complement to your Memorial Day barbecue? Cake balls and cake pops are ideal for informal gatherings. Portable and easy to eat - no utensils required! Cake balls are served in individual baking cups and cake pops have a stick - both options are kid friendly and adult approved! Choose from over fifteen delicious flavors. 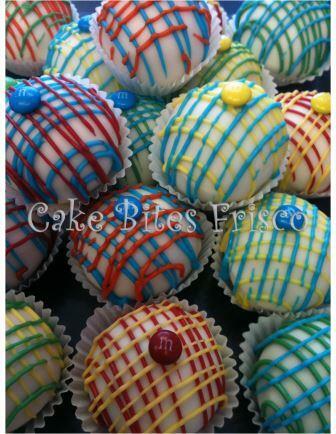 See all of our cake ball and cake pop flavors at http://www.cakebites.biz/menu/.